Today’s guest is my colleague, Dr. Semra Aytur. 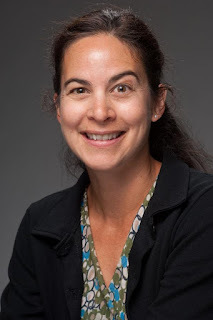 Semra is an associate professor in the Department of Health Management and Policy, and holds a PhD in Epidemiology from the University of North Carolina at Chapel Hill and a Master of Public Health from Boston University. Her research focuses on socio-ecological resilience. She has published 40 academic papers, books, and book chapters on topics related to public health. In this interview we talk about her journey from discovering the field of public health as an undergraduate, her pursuit of technical skills to support her passion for public health, and examples of her interdisciplinary research blending together fields such as epidemiology, engineering, and urban planning to improve community health and health equity. It was fun for me to get into depth with Semra about her background, and I hope you enjoy the conversation, too.